"The e-nouncement proofs look awesome. I love the classic style of the site and everything that goes along with it." BTL Designs was established in 2005 by Barbara Trask Lawrie in the foothills of Sacramento, CA with the goal of providing superb design for any type of project. With over 40 years of marketing experience, adding consulting to her repertoire was a natural. Do you need help reaching your goals and dreams? Projects include: Advertising design, website design/maintenance services, publication management, magazine design and layout, newsletters, books, brochures, direct mail campaigns, signage, and much more. Client list includes: Numerous non-profits, retail stores, real estate agents, Chambers of Commerce, sports related activities, and small businesses. Successfully established a graphic design/marketing management company producing magazines, monthly newsletters, brochures, direct mail campaigns, website design/maintenance services, books, and signage for a variety of national and international profit and non-profit corporations. Developing marketing campaigns for clients to help them achieve their business goals. Creating ongoing, trusting relationships with other designers, vendors, and key clients has been my goal. Managed a substantial department budget and employees while designing and/or directing all aspects of printing, publishing and fulfillment related to an international nonprofit organization. Direct mail, magazines, web site development, books, brochures, newsletters, and advertising, were all part of the daily schedule. 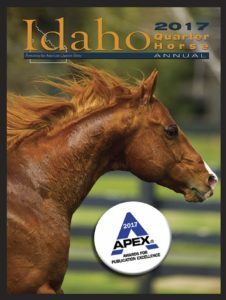 Responsible for all design direction, coordination with printers and supervision of work inherent to producing a quality full color, 80-290 page monthly magazine published for the Pacific Coast Quarter Horse Association.